Real Escapes proudly offers the Dragonfly Cottage! The Dragonfly Cottage has all of the charm of an old-school beach bungalow, with all of the comforts of home. 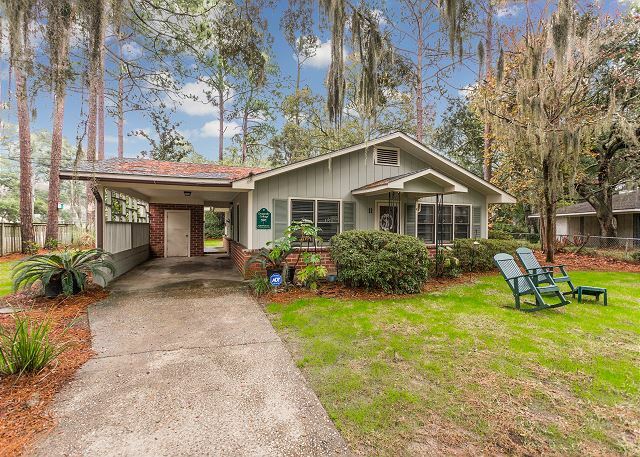 The cottage is nestled beneath oaks and pines next to a park on Mallery Street and offers simple convenience to the beach, top restaurants and the Pier Village. 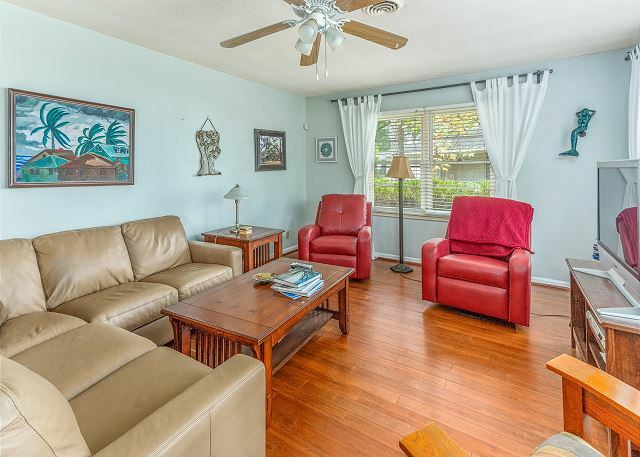 This three-bedroom, two-bath vacation home is perfect for a family weekend getaway or longer stay on St. Simons Island. 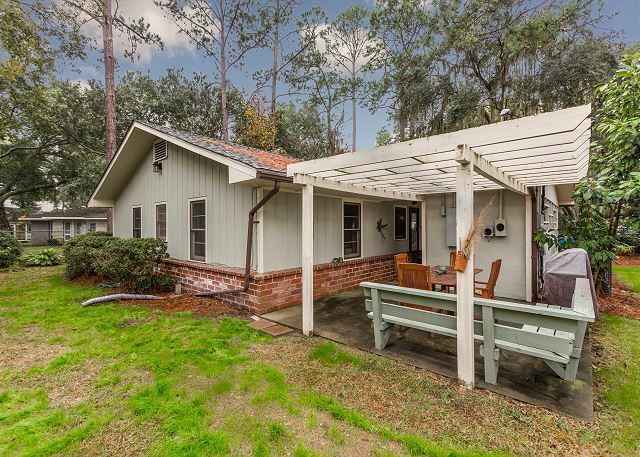 Pull into this vintage cottage through the fenced gate and park under the carport. 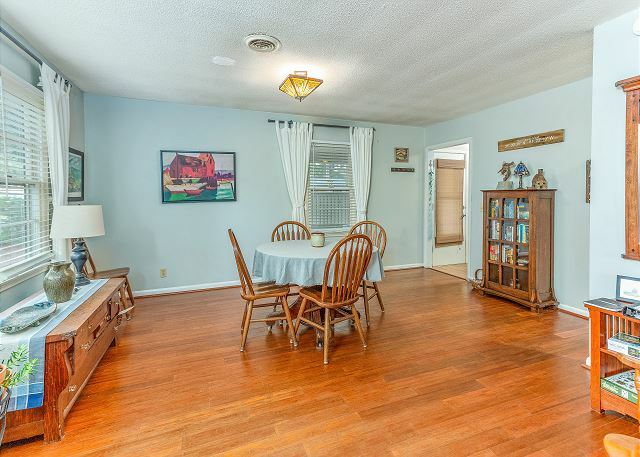 The den and dining room share an open and airy floorplan, with hardwood floors and antique decor. The kitchen, located off of the carport, is a galley-style kitchen will all of the expected amenities of home. 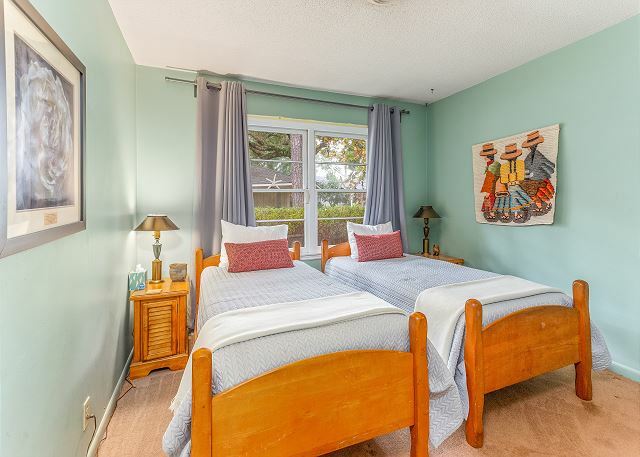 As you venture down the hallway, you will pass one full bathroom and bedroom #3 which has a set of twin beds. Great for the kids! 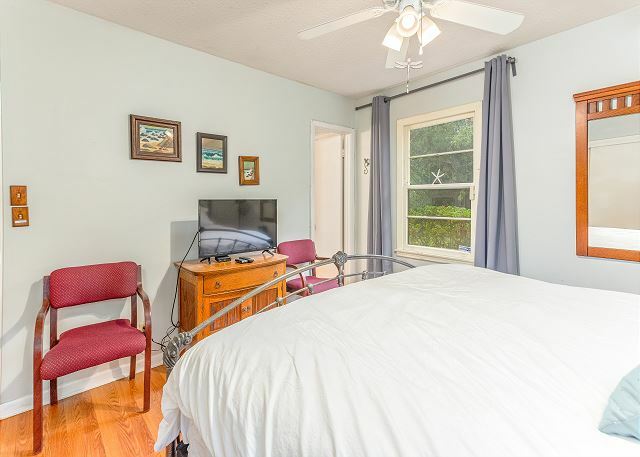 The Master bedroom is on the right at the end of the hallway with a King-sized bed and television. 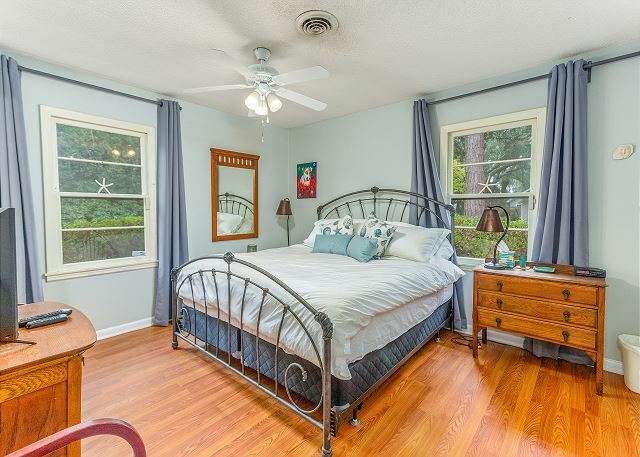 The master bedroom has an en-suite bath with many updated features. Bedroom #2 has Queen-sized bed and a television as well. Gather with family and friends on the pergola covered patio right outside the kitchen. There is seating for 4 plus built-in benches for extra room while grilling the fish you catch on your trip! Bring your own bikes or rent for easy access to the beach and Village on trails winding all over the Island.